The Lambert Center will launch graduate certificates in Cannabis Medicine and Cannabinoid Pharmacology this fall. With 30 states now allowing the use of medical marijuana, the multi-billion dollar legal cannabis industry is projected to be one of the fastest-growing sectors of the U.S. economy in the next decade. To address this need, The Lambert Center for the Study of Medicinal Cannabis and Hemp at Thomas Jefferson University has created the nation’s first—and only—university-based, graduate-level certificates in cannabis education for healthcare and industry professionals. Prescriptions for cannabis have not been written since 1937, when medical marijuana was made illegal. That means most practicing medical professionals have learned only about the drug’s abuse potential and little about its clinical applications. It was only in the 1980s that scientists began to clarify the body’s endocannabinoid system, which provides our current understanding of how cannabinoids may work in the treatment of various diseases. Still, many medical professionals today are hard-pressed to answer patient questions about the efficacy of cannabis products and the associated pros and cons, and Jefferson’s new programs promise to fill the gap. 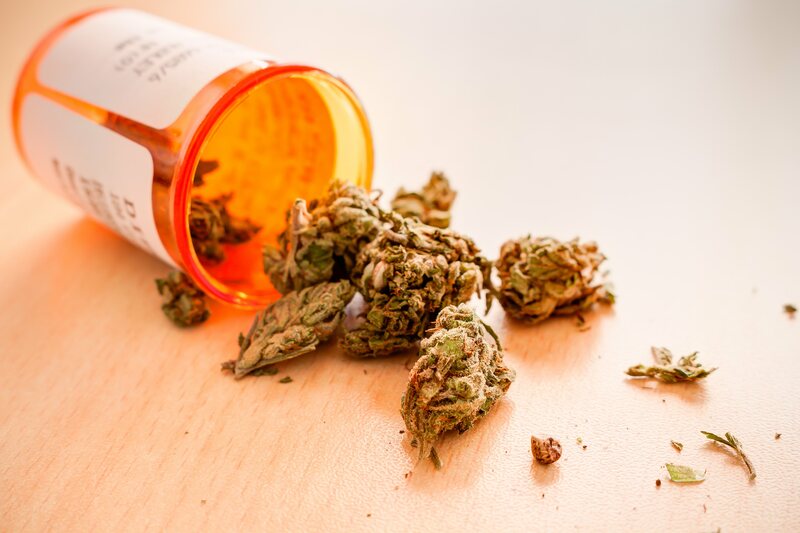 The Cannabinoid Pharmacology Certificate, targeting scientists and researchers, will explore the ways cannabis affects the human body, as well as how the body metabolizes and excretes cannabis and cannabinoids. The Cannabinoid Chemistry and Toxicology Certificate will give those working in regulation of the legal cannabis industry, as well as scientists, an understanding of cannabis botany and propagation, products and biological samples and principles of quality control for cannabis-containing products. Each year-long certificate program offers four three-credit academic courses focused on evidence-based medicine. Ten of the 12 graduate courses will be offered entirely online. The Cannabinoid Chemistry and Toxicology Certificate requires two hybrid courses that include both in-person didactics and laboratory exercises at CSFRE’s state-of-the-art research and teaching facility in Willow Grove, Pa. The cannabis certificates are part of several new certificate programs from Jefferson’s Institute of Emerging Health Professions, which endeavors to provide innovative and unique education and training to fill future career, training and certification gaps in healthcare practice and delivery. Jefferson’s Lambert Center for the Study of Medicinal Cannabis & Hemp is the nation’s only comprehensive academic resource for education, research and practice pertaining to the potential use of cannabinoids as medical therapy.